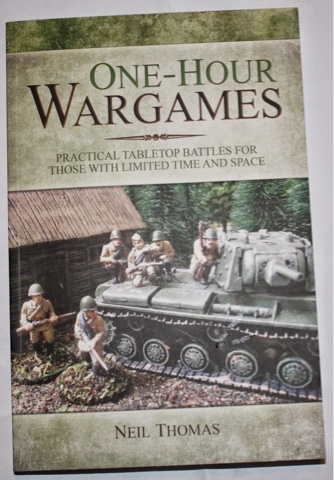 A One Hour Wargame? Certainly works for me! I finally got around to acquiring a copy of the above - and I am very pleased I did! I am not going to repeat the umpteen reviews that have featured across the blogosphere - instead I will limit myself to my own observations. I am very excited about the potential of this book as I believe that in making the rules as simple as he has done so the author has suceeded in furnishing a really good framework to build in additional features. I have no problem with the concept of small armies fighting on a small playing area and taking modest amounts of time to do so. All of this works really well for me and my wargaming circumstances in many ways - cost, time to acquire the forces and paint them, available time etc. The mechanics are simple and the accompanying designers notes are quite logical in the context of what he has set out to achieve. At this stage the only obvious thing I can think to apply is to expand the number of troop types per period from 4 to 6 as this would allow a more rounded coverage for a given period. Of course these would the need to be factored in to the rules but such is the simplicity of the basic engine that this should not be a problem. I picked up a copy of the above at the Lakeside branch of the Works in hardback for a mere £3 - and what an engrossing read it has been! 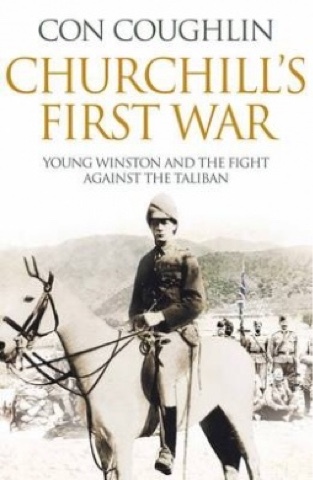 The story of the Malakand Field Force is of course well known but alot of the background around Churchill's early life was unknown to me - and I have not seen the film Young Winston either! The thing that struck me with this book - enhanced by the authors continued parallels with the current situation in this part of world - is how often history has to relearned in order to go forward - and in the case where the military had become involved how many young men pay the ultimate price. The author uses much of the material available from the Churchill archive and his modern day parallels seem to be almost uncomfortably (some could say uncannily so) close to the truth. The weapons and technology may change but as the tribal warriors of the hills observe: "You have all the watches but we have all the time." A couple of points struck me after having read this. I did not realise that Churchill was quite so financially strapped at the time (his writing proved to be quite lucrative) and also just how keen he was on self promortion. He was certainly very brave and saw this as being the foundation of his ultimate career in politics. The other point the author made which struck me concerned of all things drone strikes. Are these a more cost effective way of the carrying out the time honoured 'punitive expedition' to teach the natives a lesson? One has to wonder. At last my order from Tumbling Dice has arrived! If you recall I has placed an order for the entire range available for the Lake Tanganyika campaign - 6 models in all although I received two packs each of Mimi and Toutou making four models in all for this type. I will query this with Paul at Tumbling Dice as I think that the catalogue listing may be incorrect as it does not mention they are priced at £2 for two - I ordered two packs thinking it was one model in each. A minor point though, and not one to raise the blood pressure. I have had a preliminary look at the models and they look very nice indeed and are multi-part affairs. How they compare to the offerings from, I believe, North Park Miniatures in New Zealand I cannot say but they certainly seem to be very detailed. I will have a closer inspection this evening and will try and get some pictures as well. All the vessels have seperate guns and masts where applicable and the large Graf von Gotzen has a resin hull with the deck fittings being cast in metal. My first thought when I saw this was that it seems expensive for what it is - £12 - and on closer inspection I noted that the underside of the hull has around 1mm of excess resin, thereby raising the overall height of the hull. This would not be a problem if one used testured bases as this would be covered and would look fine as the 'water' would then be at the right level for the hull. I do not texture my naval bases though so I will have to smooth this away. It may be a design feature but if it is then it not really to my taste. I am really looking forward to tackling these models and hope to do so at the weekend - it will be good to get some filing, gluing and painting underway again. "Too much water for the army and not enough for the navy"
I am currently reading my way through the above title and it is an absolute belter! The Imperial foces tasked with securing the oilfields and pipeline initially made use of some converted steamers and sundry other river craft as well as some seagoing Victorian era gunboats to support the land forces. The vessels saw much action - not only chasing the Turks but also against the various tribes of marsh Arabs. These locals could be either supporting the Turks or the Imperial forces (occasionally both!) so one was never quite sure whom they would turning out for. 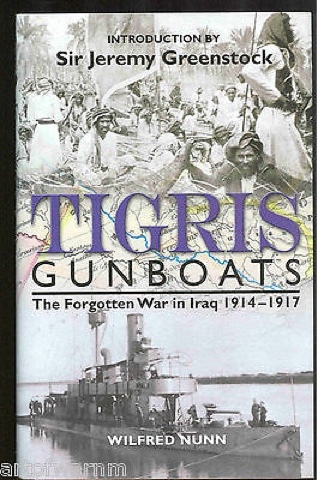 Purpose built small China gunboats were eventually sent out and assembled on site but the forces available from the outset saw much action in support of the land forces as well as engaging Turkish naval forces in the area. The main RN presence at the outset were a number of Cadmus class sloops - HMS Espiegle, Clio and Odin - and I was delighted to find out that they were all built in my home town of Sheerness. As an aside the Turkish cavalry in the area was very active and quite successful being used against Imperial supply lines. The Turks usually fought well when attacked frontally but the gunboats were able to use the river to engage the flanks and so often were able to dislodge the defenders under a hail of 4", 12 ponder or machine gun fire. The Turks tended to use patrol boats mounting pom pom guns (typically old Nordenfelts) so the potential for some interesting actions - either combined arms types or pure 'naval' affairs is very high. The main Turkish gunboats were only armed with 9 pdrs which were insufficient against the 4" weapons of the RN sloops and later gunboats (especially the 6" armed Insect class).I have Dave Manley's excellent Steamer Wars rules to use for this and the River Wars supplement covers the use of land forces. The Turks were outgunned on the waterways but made up for this with extensive use of blockships, floating mines and artillery covering key points. They also regularly peppered the Imperial vessels with rifle and machine gun fire. All I need are some models so I am thinking that I shall be busy scratcbuilding! In my last post I touched on the question of terrain for use with my Heroscape set up. I mentioned that one of things I wanted to avoid was using terrain items that had too large a 'footprint'. Much of my existing terrain is ideally suited for use with Hexon and the associated model footprint does not present too much of a problem when using units of four, three or two blocks. This is part due to the size of the models in use and the fact that he Hexon tiles are some four inches (100mm) across the flat edges. Sadly the Heroscape version is less than half of this at around 45mm. It is a problem to be sure as the blocks I shall be using occupy a large chunk of the available space within a Heroscape tile. Since I am not going to replace my block collection anytime soon with a smaller version the need for some terrain has become a pressing one. I have an idea although it is by no means an original one. I am planning on experimenting with 2D models - essentially 'flats' but configured in such a way that the look is very much 3D. Simply by using an 'L' shaped or, more likely a three sided base with representations of the terrain to be depicted configured along both angles I am hoping to solve both the practical and the aesthetic consideration. At this stage my thoughts are limited to buildings and built up areas and woods but there is no reason why the technique could not be applied to other things. As I shall have some spare time this weekend I will also make a point of trying out some terrain ideas and see how they work out - with of course the results being posted on the blog. A couple of years ago I was lucky enough to receive a substantial chink of painted Heroscape terrain tiles from Bob Cordery. There is acres of the stuff - all textured and painted a pleasant shade of grass green. I should also point out that I also have a substantial amount of Heroscape terrain that is unpainted for which pans are afoot but that is for another time. If I am honest I have not really made much use of it although I have had a number of ideas over time. The problem has been the size of the hexes as they are around 45mm across the flat sides which is less than half the size of a Hexon tile. Clearly then, using smaller figures would be the order of the day as you would struggle to get more than a handful of figures on a tile - this would be even more of a problem once you started adding terrain pieces. Unless you did away with figures entirely (and I am not counting 10mm and smaller figures here although they would work just as well methinks) and used something else instead. Like blocks. That's it - using blocks. My block collection has lain forlorn and unloved for most of this year as the games I routinely fought with them tended to be very Command and Colours based i.e. units of 4 infantry blocks, 3 cavalry or 2 artillery. This would not work with the Heroscape set up so I thought that using a single block per unit and hit markers would be in order. Certainly that is the approach I shall adopt although using such things on a tabletop is usually viewed in a dim light. As far as terrain goes I will need to think about buildings and woods for the most part and therein lies the problem. The terrain will need to be quite small (in respect of the 'footprint') but with sufficient height to be quite clear as to what is being represented. I have a few ideas for this which will feature on the blog in due course. Hills and waterways are of course no problem. I am hoping to have an experimental game over the weekend if I am able with the results and impressions reported in due course. Order the models from Tumbling Dice (all six of them) and think about Madasahatta, the African Queen and Shout at the Devil and the unlikely film version of Geoffrey Spicer-Simpson and his adventures with Mimi and Toutou starring Rowan Atkinson - who if this ever got off the ground would be superb in the role!